In August 2018, the Dallas City Council voted to approve a recycling ordinance for all multi-family dwellings with 8 units or more. By January 1, 2020 all affected multi-family properties must provide access to recycling for staff and tenants and provide education training. Through a Meadows Foundation grant, Texas Campaign for the Environment Fund (TCEF) contracted our company, Zero Waste Strategies, LLC (ZWS), to conduct 9 waste and recycling characterization studies within the Dallas city limits. The studies determined the current and potential recycling rates of different types of businesses, such as restaurants, hotels, multi-family complexes, and office buildings. The findings of our waste studies were presented to the participating businesses and to the Dallas City Council to provide a cross-sectional view of business recycling rates or lack thereof. This reporting will help inform the Council’s decision-making process of potentially expanding the multi-family recycling ordinance to include all commercial properties. This vote is anticipated in mid-2019, but we also hope a vote to require food-permitted businesses to divert organic wastes from landfills will also be on the docket soon. Waste audit recruitment had to happen on 2 fronts: Business participants to give us materials to sort and volunteers to help sort the materials. The recruitment process to get businesses enrolled in our complimentary program was surprisingly challenging. Even though we had concise, but impactful scripts for outreach, as always, getting to the correct contact was the biggest obstacle. Because ZWS was already funded through the non-profit contractor, offering our services for free seemed to raise a red flag for those businesses we approached. We would go through gatekeeper after gatekeeper after gatekeeper to finally get to the correct person, only to hear an “out of office” message. Leaving a voicemail, following up with an email, and crossing our fingers for a response was not going to get us the participants we needed. It was decided that we should expanded our reach and turned to employing interns who could help with phone and email outreach. Enrolling the businesses that actually showed interested was a bit tricky. Because we wanted to get a good cross-section of the business community, we also had to consider where the potential business participants were located within the Dallas city limits. For example, our study would be skewed if we recruited all businesses from the downtown area, but didn’t address lower income areas and communities of color. Of the 9 waste audits scheduled and performed, 4 were in the downtown area and the other 5 were fairly spread throughout the quadrants of the city. For recruitment of waste audit volunteers, we had to play the game a little differently. Our call out to the community was amplified by the DFW GreenSource publication and on social media. We appealed to those wanting to gain the fundamentals and hands-on experience with waste audits. Respondents had to sign an accident waiver and detail which days they were available to help. Whether it was just one waste audit or several over several days, every set of hands we could get was appreciated. Hop in a dumpster? No problem! Our awesome volunteer saves this hotel chain’s recyclables from latex glove contamination! Landfill Trash – Each landfill trash bag was carefully sifted to identify and separate recyclable materials, such as cardboard, mixed paper, metals, rigid plastics, and glass from landfill trash items. Each recyclable was placed with like items in containers. For accuracy, full containers of landfill trash and sorted recyclables were individually placed on a tared scale and weighed. 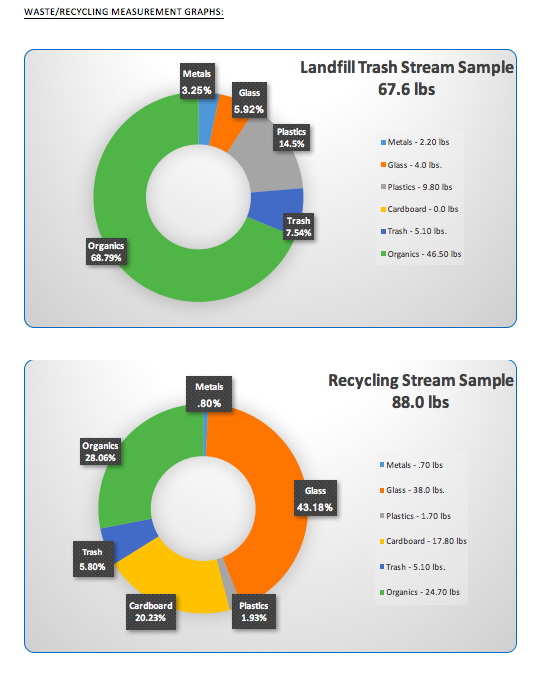 Each measurement was recorded manually on a printed spreadsheet labeled with each recycling category listed above. Usually, the recyclable materials recovered from the landfill trash samples were too contaminated to be recycled, so they had to be returned to the landfill trash dumpster. Recycling – ZWS had a goal of not only sorting and weighing the recyclable materials collected, but also identifying any contaminants in the recycling stream that could lower the value of those recyclable commodities. The materials pulled from the recycling dumpster were sorted and weighed and any contaminants were pulled, weighed, cataloged, and placed with the previously measured landfill trash debris. Organics – For businesses that had a food permit, all organic materials (food waste, floral decor, etc.) were weighed separately from the recyclable and landfill trash materials. Only one of the businesses we audited had a composting program. No other food diversion efforts were observed as part of the operations within the other food-permitted businesses, so all food waste was pulled directly from landfill trash bags and, unfortunately, some recycling bags, as well. As volunteers showed up each day, the ZWS team would take time to train each volunteer on proper techniques for sorting recyclables and food waste from landfill trash. They were supplied with gloves, goggles, and shoe wraps, among other safety precautions. As materials were being pulled, they had questions about what was recyclable and what was not. We address each concern to ensure they were sorting properly. As we wrapped up each waste audit at each property, the sorted bags were placed in the proper dumpster and the business property was cleaned to show no trace of activity. After the project was completed, a customized report was developed for each property where observations, graphs highlighting waste totals and percentages, and data conclusions were offered. Based on each property’s baseline measurements and diversion numbers, appropriate recommendations for Zero Waste “best practices” were also reported to help the business participants along in either getting a diversion program started or to expand current diversion programs. These reports were delivered to the Dallas City Council for review and will hopefully be used to justify expansion of the apartment recycling ordinance to include all commercial properties and food businesses. Gathering these baseline measurements are key to businesses determining what waste diversion programs are needed. Of all but one of the properties and food businesses the ZWS team studied, we found severe contamination issues in the recycling samples of the businesses that employ this service. There seems to be a large gap in knowledge in how to recycle properly, which points to a major lack in staff & tenant education training. Just like you wouldn’t hand the keys to the cash register to a new employee, you can’t throw a recycling program at those who are supposed to use it and expect them to know how. Many businesses do not have recycling because they see it as an additional cost of service. What is not being considered is that the waste diversion from the landfill trash allows the opportunity for a “right-sized” program where the landfill trash hauling contract can be renegotiated. To meet their actual service needs, businesses can either reduce the landfill trash dumpster size, the frequency of weekly pickup, or both. Any cost savings realized through a “right-sized” program can be used to offset the costs of new recycling and/or organics diversion programs. Alternative materials need to be considered in business operations. We have a plastic pollution crisis around the world and businesses can lead the way by switching single-use plastic and polystyrene service wares (to-go cutlery, cups, containers) to reusable materials that can be collected, washed, and reused or even compostable materials. Items such as latex and vinyl gloves can be replaced with compostable gloves and placed in a compost bin after use. Zero Waste Strategies offers the following services to help businesses and governments enact waste diversion programs. We offer a complimentary “Green Your Business” Strategy Session to determine if our services fit your specific business needs in attaining your sustainability goals. Mission – To assist people and institutions of Texas improve the quality and circumstances of life for themselves and future generations. Vision – To exemplify the principles of its founder in addressing basic human needs by working toward the elimination of ignorance, hopelessness and suffering; protecting the environment; providing cultural enrichment; encouraging excellence; and promoting understanding and cooperation among people. Mission – To engage people and communities through face-to-face public education, grassroots organizing, and action-oriented research for a cleaner and healthier Texas. TCE Fund is registered with the IRS and State of Texas as a 501c3 non-profit organization. Contributions to TCE Fund are 100% tax deductible. Mission – To assist businesses and local governments in saving financial and material resources by building long-term, sustainable practices and boosting the visibility and leadership efforts of those “Going Zero”. By implementing Zero Waste communities can work together to bring economic vitality and diverse job streams for a more secure local tax base. ZWS is a registered S-Corp based in Austin, TX holding membership status with the US Zero Waste Business Council, the US Green Building Council, and the Austin Green Business Leaders Program. ZWS has contracted with multinational corporations, such as Nestle Purina and Kohler Co., to implement Zero Waste programs and staff training. ZWS currently contracts with the City of Austin to provide outreach and education to assist businesses in complying with the Universal Recycling Ordinance (URO). Journey to Zero Waste: How Did Zero Waste Strategies Form? As a global company with massive supply chains, Amazon, the online product and service delivery company, could seriously benefit from blockchain technology. The blockchain will revolutionize efficiencies in operations for industries all over the world. It is a distributed, immutable ledger that builds trust between companies, vendors, and customers and can be used to verify transactions and track where products are coming from, how they're packaged, and the amount of wastes produced in the supply chain, among other measurements. Recently, Amazon got SEC approval to block a shareholder proposal asking for an accounting of food wastes in is supply chain. It responded by taking a stance that food waste wasn't a "material" and only made up less than 1% of the company's operating expenses. Although the company states it donates to food rescue groups, to the tune of 17 million lbs. in 2017 alone, it has used this outlook as the reason to deny shareholder wishes to explore food waste prevention. Food rescue and recovery has been exposed as a multi-billion dollar revenue opportunity, but Amazon's pushback to dive deeper into the way it operates it food delivery branch seems to be a huge missed opportunity. Not only could the company take a stronger leadership role in this regard, it could reap the benefits of increased federal tax incentives for food donations and feed more hungry people in our communities. With an unfortunate reputation for squashing shareholder proposal requests, it would behoove Amazon to quell shareholder fears and concerns by putting all supply and delivery information on the blockchain for real-time data in waste tracking and providing accurate CSRs for stakeholders and the public. In Texas, there are close to 200 active landfills and many have been filling up so quickly over the years that even in Austin, a city considered to be “green” and “eco-friendly”, three out of the 5 local landfills are scheduled to shut down soon. We all know that recycling is important and something in which everyone should be allowed to participate as it can be a critical economic driver that helps grow businesses, keeps people employed, generates tax revenue, and of course, keeps our communities clean and garbage free. It has also become increasingly important for people and businesses to not only have access to recycling programs so they can be responsible with discards, but to be better educated on consumption habits and our disposable culture. Today, we’ll evaluate a recently released study by the Texas Commission on Environmental Quality (TCEQ), which was mandated by the 84th Texas State Legislature under House Bill 2763, on the economic impacts of recycling and the lost revenue due to material not being recycled. The study was conducted by Burns & McDonnell and the State of Texas Alliance for Recycling (STAR), which also released the 2015 Texas Recycling Data Initiative (TRDI), a voluntary survey of landfill, recycling, and composting operators across the state to understand baseline waste diversion measurements. An objective of the TCEQ study was to not only measure recycling in Texas, but to also provide an update to the recycling rate measured during the 2015 TRDI study. A recycling rate indicates what percentage of wastes generated by a population is diverted from landfills. The generators of MSW recyclables that were studied included single-family dwellings and apartment buildings, restaurants, office parks, retail stores, hospitals, universities, and government facilities. Approximately 9.2 million tons of municipal solid waste-designated material were diverted from landfills, and instead, recycled in Texas in 2015. Of that 9.2 million tons, materials including paper, plastics, metal, and glass, yard trimmings, brush, green waste, food and beverage materials, and construction and demolition (C&D) discards accounted for 8.7 million tons, or 94.4% of the total recycled materials in Texas. Based on the tons of municipal solid waste recycling reported for this study, the 2015 recycling rate for municipal solid waste in Texas was 22.7% and taking into account the average commodity market for typical recyclables, organic wastes, and C&D materials, the dollar amount of recycled materials in 2015 was $702 million in Texas. Recycling of municipal solid waste creates economic benefits for the Texas economy, with more than 17,000 person years of direct, indirect, and induced employment supported during 2015. 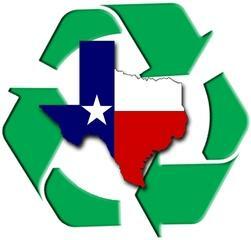 The overall impact of recycling MSW on the Texas economy exceeded $3.3 billion. With Texas diverting only 22.7% of recyclable materials away from landfills, there is much work to be done. Yes, setting strong state and local recycling policies and initiating public education and outreach campaigns can pave the way toward an economic boon, but we must also look at our society's acceptance of disposability and how manufacturers plan obsolescence in the products we buy. 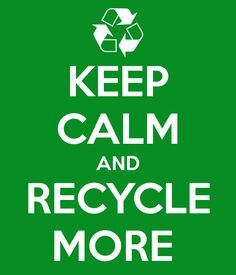 With more conscious purchasing habits to reduce consumption, customer demand for sturdier products that are designed for recycling, and creating residential and business recycling policies across the state, Texas can take bolder steps to boost entrepreneurship, job creation, better materials management, deeper sustainability accomplishments, and a cleaner environment. The National Prescription Drug Take Back Day is Saturday, October 28, 2017 and aims to provide a safe, convenient, and responsible means of disposing of prescription drugs, while also educating the general public about the potential for abuse of medications. The primary goal of this event is to reduce prescription drug abuse, which is the use of prescription drugs for recreational purposes. Another major component to this program is the environmental benefits. Commonly, people use their household trash bins and toilets as a means of medication disposal because they’re convenient methods, but research shows that chemicals used in medications can travel through public septic systems, waste water treatment plants, and, if thrown in landfills, these chemicals can make their way to rivers, lakes, and our soils. For example, trace amounts of drugs that alleviate attention deficit disorders and mental depression have been found in the Barton Springs Aquifer, the Heart of Austin. Tests have also identified antibiotics, painkillers, and steroid chemicals in bodies of water and local water supplies, which pose a threat to marine life and ultimately makes their way into human life. Also, consider what happens if you improperly ditch them in your trash can. Not only could it go to a landfill and eventually leach into the groundwater, it can also allow potential abusers access to your personal information if name and address labels on prescription bottles are not destroyed. We all know the risks and negative outcomes involved in identification theft and this program can help solve them. There has been increasing interest among the public and federal, state, and local enforcement agencies in developing methods to dispose of unused and expired pharmaceuticals. These drug takeback programs reduce drug abuse and their introduction into our landfills, public water supplies, and environment as a whole. Take back programs are clearly a win-win for both public health and environmental safety so let's make sure we all do our part this year by becoming better educated, helping to spread the word, and taking action by properly disposing of our medications using the links below! Locate a Collection Site Near You Search by zip code or city/state to find a collection site near you. Law Enforcement Agencies Only For law enforcement agencies that wish to host a collection site please call the SPOC in your area. Partnership Toolbox Download posters, handouts and other materials to promote National Prescription Drug Take Back Day. State and local governments in the US and around the world are in a tight spot regarding China's recent policy updates on the quality of recyclable materials it imports. Businesses in places known for a culture of environmental stewardship, such as Oregon, are seeking waivers to dispose of recyclable materials that are no longer being accepted through overseas Chinese markets. These waivers may be granted depending on the results of market searches and potential sales elsewhere. We've seen this line in the sand before when the Chinese government issued a campaign in 2013 called "The Green Wall" that was set to deter shipments of substandard and unclean recyclables, unusable scraps, mixed trash, and the like. Due to the government's prior acceptance of contaminated containers with millions of tons of unsorted and impure bales of materials, China had established itself as a sort of dumping ground for countries and businesses around the world. This is especially prominent in the realm of toxic electronic waste dumping from computers, televisions, cell phones, etc. This abrupt shift in market flow is placing a spotlight on US communities at risk of reduced diversion services or loss of these programs, altogether, which could reduce the value of the commodities and drive recyclables to landfills. With this trend potentially affecting more areas, residents and businesses will be called upon to rethink and rapidly adapt to changing purchasing habits and prioritize waste reduction goals. Could this be just the push Americans need in order to change our disposable society? The results of a 7-month survey have been compiled and released in a recent report regarding the "State of Organics Recycling in the U. S.". BioCycle, a magazine and website published since 1960 and specializing in composting, organics recycling, anaerobic digestion, and renewable energy, requested information from all 50 states and the District of Columbia. Forty-three states and D. C. completed the survey about the number and type of organics processing facilities each has. It has been found that there are over 4,700 composting sites nationwide. While most process yard debris (57%), such as grass clippings and tree trimmings, much fewer process food wastes. With fewer food composting facilities in the US and the immense amount of food wastes in the U. S., one can bet that landfills are the final resting place of up to 60% of unconsumed foods in America. Clearly, the opportunity exists to completely eradicate hunger in our country, which would lessen the need for more composting facilities. National groups, like Feeding America, partner with restaurants, grocers, wholesale warehouse businesses, and more to divert foods to feed hungry people in our community. And, foods that are no longer consumable by humans, but still safe for livestock can be diverted to farms and ranches. There are even industrial uses, such as yellow grease collection that is refined and used as fuel in biodiesel vehicles. Meal Kit Delivery Services: Are They Worth the Waste? First and foremost, thank you for the opportunity to present our educational blog post. We’re thrilled about getting more people, businesses, and local governments all over the world more involved in the conversation of Zero Waste and the Circular Economy! This week’s blog edition will address the meal kit delivery services industry, a new subscription-based business model where companies bring you pre-portioned, prepared meals or the raw ingredients ready to be prepared in your own kitchen. Blue Apron— Blue Apron has two plans: a 2-person and a 4-person subscription, both with 3 meals per week. The 2-person plan is $59.94 per week ($9.99 per person) while the family plan is $139.84 per week ($8.74 per person). The membership model allows the company to predict orders so they can utilize whole crops and eliminate wastes by growing only what’s needed. Lettuce—A company servicing the Austin area that uses plots of land donated by residents, businesses, or local governments for organic food production. Delivers in reusable, plastic containers and takes back food scraps for composting. The cost for Lettuce ranges from about $35 - $79/week for 3 meals, at 4 servings each (Price per serving: $6.58). Thrive Market—Uses a membership pool to increase purchasing power through direct buying, cutting out retail markups. Each membership supports the subscription for a low-income family to receive healthy foods and less toxic products, like cleaners, bath and beauty products, and baby foods. Thrive Market is around $59.95 per week. HelloFresh-- Their delivery service also helps reduces carbon emissions. Each delivery van can deliver food bags to around 50 customers a week and optimize the route to make sure each vehicle travels the shortest distance. HelloFresh costs a bit more than the others, again with 2-person and 4-person subscription option. The 2-person plan is $69 per week ($11.50 per person) and the family plan is $129 per week ($10.75 per person). Plated prices are based on the number of plates ordered. Meal kits have much to offer when it comes to health needs and convenience. For example, options such as catering your diet to address health ailments or weight loss goals can be included in deciding if meal kits are right for you and your family. Not to mention, relieving you from the stress that comes with going to the grocery store, like loading up the kids, battling traffic, finding a parking spot, waiting in line, paying retail prices, etc. There are many ways to look at the various pros and cons with each of these services but we are here to focus on the planet and the environmental side effects that come with this type of delivery service that should be considered. The waste produced by meal kits services is no match to the waste produced by grocery shopping, but it should not be overlooked. If you think about the supply chain with meal delivery services, the amount of cardboard and plastic packaging is tremendous: the plastic wrapping used to keep the actual ingredients fresh, the cardboard box with the company logo that all the ingredients are packed in, and the larger box holding all of the smaller boxes of product to minimize damage through transportation. One of the biggest issues is not the amount of cardboard that is produced, but what happens to that cardboard afterwards. Currently there seems to be no responsibility from these types of companies to provide a recycling service or solution for their customers. It is expected that subscribers to these programs deal with the company’s wastes in their own municipal recycling bin or, if that person doesn’t have local recycling services, throwing the materials into their own landfill trash bin. Wouldn’t it be great if meal kit services employed reusable containers that could be exchanged upon delivery and where the company has a take-back program focused on reusing the empty ones for other orders? When do consumers start to speak up on these operational inefficiencies? For that to happen consumers must start leveraging the power of their dollar and loyalty to demand better practices and work towards a mutually beneficial solution. This can be done by submitting a comment on the company’s social media pages, writing to the company via snail mail, calling to speak with the customer service department, writing a Letter to the Editor in the local newspaper, etc. The bottom line is that nothing will be done until we begin asking more questions. It starts right here with you by speaking up and continuing the conversation. If you liked this blog post, please comment below and tell us your thoughts! Also, don’t forget to share on social media and include our link to support relevant topics in your newsletters and email blasts! Wrapping up the national Resource Recycling Conference in Minneapolis this week, US Representative Keith Ellison of Minnesota, called for taking a moral stand regarding climate change and consumerism by highlighting the benefits of Zero Waste. With visions of a "Zero Waste society", Ellison stated, "Our economy is structured around consumption. We need to restructure it around the benefits of society." He also said, "You are working on what may be the most important thing for anyone to work on, which is saving this planet. I believe zero waste and recycling are an important way to do it." By introducing a $100 million recycling bill (H. R. 1034), Ellison is challenging the political will of Congress to fund the infrastructure necessary to create well-paying recycling jobs, which can boost economic vitality and prioritize sustainability. Barnes Johnson, Director of the EPA's Office of Resource Conservation and Recovery, was also in attendance at the conference. When asked about the current presidential administration's track record on environmental concerns, he noted that Zero Waste is a concept and practice around resource efficiency and optimization that anyone can get behind. He assured the crowd of recycling professionals that the EPA will continue to stand for its core values around food waste reduction and sustainable materials management. With businesses around the world heeding the call, Zero Waste is becoming a norm in operational efficiencies. Not only that, consumers are becoming more demanding of corporate responsibility in exchange for their loyalty and dollar. To make it an official policy that municipalities and enterprise can more easily sign on to, it will now come down to the voters. In pushing this legislation for passage, citizens can hold public officials accountable to job growth through the new Zero Waste economy with the added benefits of cleaner air, land, and water. Due to #HurricaneHarvey, Texas communities could face years of cleanup. While recovery will focus on immediate community repair, most cities do not have a plan in place to address recycling and salvaging of valuable materials after a natural disaster. From toxic chemicals and electronics to materials trashed from gutting homes and businesses for rebuilding efforts, the state's landfills will be taxed with housing massive amounts of incoming wastes at the taxpayer's expense. Cities need a recovery plan for capturing useable discards that should not be landfilled. While this type of cleanup may not be a priority for some, it is a low-hanging fruit that could be used to reinvigorate local economies and put people back to work.